In recent months photos of Chinese soldiers released by the PLA showed them using an exotic portable weapon. It don’t appear to be copied from any foreign model and uses a folding tripod meant for recoilless rifles. The weapon is identified as the FHJ-02 and it launches unguided 62mm munitions at short ranges. 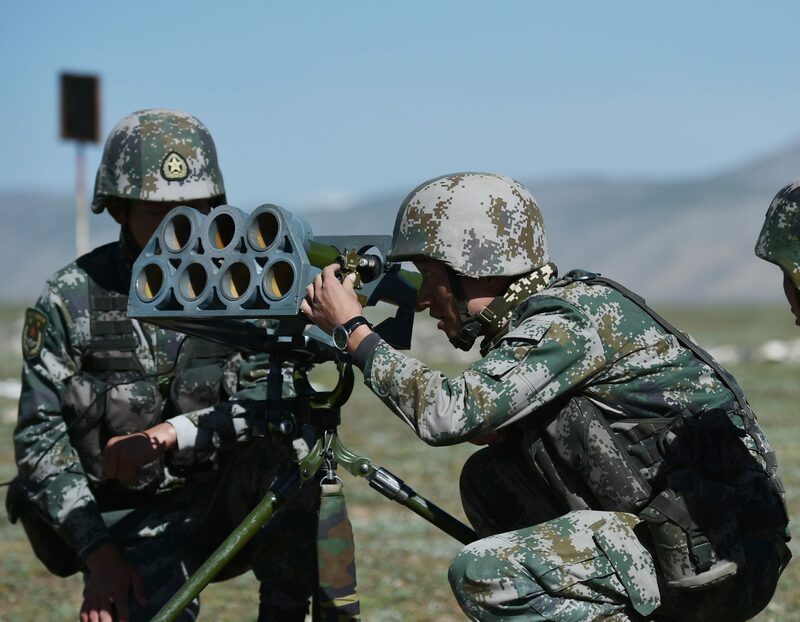 Why the PLA need another rocket launcher for its infantry is baffling but making sense of the army’s doctrine can shed light on the FHJ-02’s purpose. Its seven tubes each carry 62mm rockets that are launched via remote control for direct fire support. 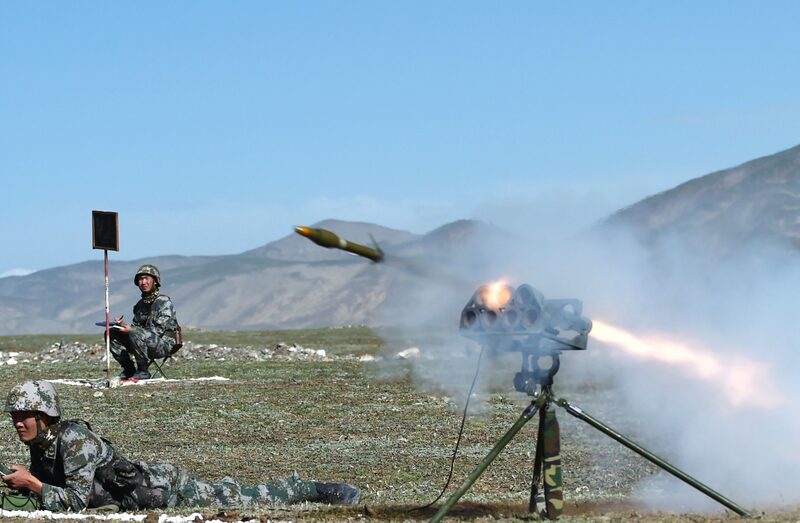 Chinese soldiers are already equipped with three kinds of shoulder-fired anti-tank rockets. These are the Type 69 patterned after the Soviet RPG-7; the single-shot PF-89 that’s armed with an 80mm rocket; the enormous PF-98 recoilless rifle that fires a 120mm HE round. The FHJ-02’s own salvos of 62mm rockets seem too small for knocking out second and third-generation main battle tanks. The FHJ-02’s munition type could give clues on what it’s meant for. The choice of a 62mm rocket brings a Russian analog to attention–the Bur, a recent lightweight shoulder-fired weapon made in Russia for export. It’s armed with a 62mm rocket for destroying a variety of unarmored targets at optimal ranges. The FHJ-02 could be a different approach to the same concept, being a portable rocket flamethrower. Its maximum range, however, has never been revealed. The kind of warhead it uses, whether high explosive or thermobaric, is a mystery as well although unverified sources claim the FHJ-02 is designed for launching incendiary rounds. The FHJ-02’s parts are divided between a tripod (the same kind used on the PF-98 120mm recoilless rifle), the launch tubes in their container, and a control panel resembling an olive green lunchbox. Its correct use requires a trio of soldiers. The operator lies prone at least five feet away from the launcher, which is connected to the control panel by a cable, as the FHJ-02 is manually loaded and aimed using a basic sighting complex. FHJ-02 rocket launchers have been spotted with Chinese soldiers and marines although there’s nothing to indicate whether these are platoon, company, or battalion level artillery pieces. Because of its modest dimensions, the FHJ-02 probably replaces mortars for troops deploying in remote locations. Since PLAN marine engineers use the FHJ-02 this suggests it’s meant for softening up fixed positions held by the opponent’s infantry. The following characteristics are based on the FHJ-02’s observable features: First, it’s assigned to infantry sections. Second, it can be dismantled and setup with ease and doesn’t strain logistics. Third, it’s a short-range artillery weapon. Fourth, it’s meant for defeating fortifications with incendiary rockets prior to an assault. To equip platoons and companies with ultra-lightweight rocket artillery might be unorthodox for NATO armies, but the PLA do have their own unique ground warfare doctrine based on portable heavy weapons. A Chinese infantry platoon, for example, have both squad automatic weapons (usually a bullpup with a drum magazine) and light machine guns like the Type 88 to lay down suppressive fire. These small arms are complemented by specialists using the QLZ-87 multi-grenade launcher, the Type 89 heavy machine gun, and the PF-89/98 rocket launcher. When up against armor, the standard anti-tank weapon is the 120mm PF-98. 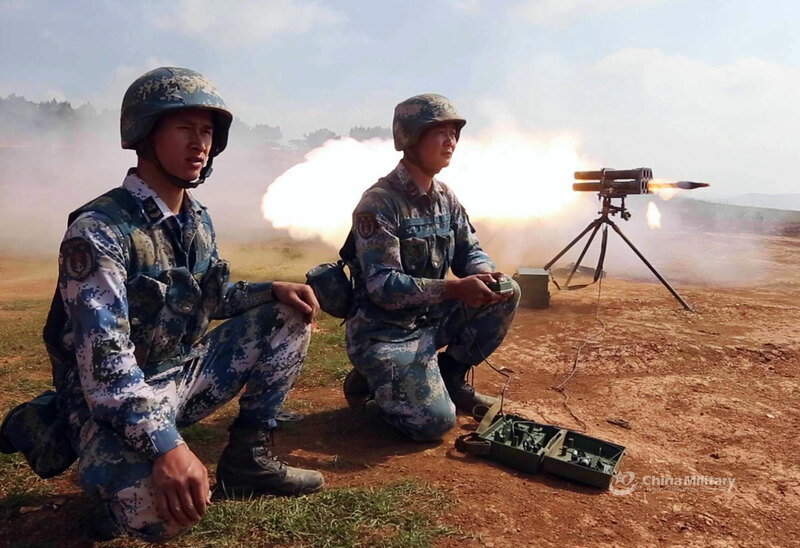 PLA soldiers in the northwest do train with the HJ-73 anti-tank missile, which is an improved copy of the Soviet AT-3 Malyutka. It’s odd how state-owned military-industrial conglomerate Norinco is willing to export the HJ-12 or Red Arrow 12 man-portable top attack missile launcher, whose resemblance to the Javelin and the Spike-MR is unmistakable, while the PLA’s infantry have shunned it in favor of direct fire weapons. The FHJ-02 doesn’t seem to enjoy widespread use among the PLA’s various infantry forces but armies who anticipate a ground war with China in the future must take note. Beijing’s soldiers have a multitude of large caliber weapons at their disposal.